Jazz flautist Mark Weinstein’s latest album, El Cumbanchero, arranged by Aruán Ortiz, will be released on the Jazzheads label on 8th November. Following Weinstein’s (approximate) pattern of alternating Brazilian and Cuban albums, this sees him return to his beloved Cuban music. However, El Cumbanchero ventures into new territory for Weinstein, the charanga. With a twist. While the charanga is a flute-led form, with the traditional wooden flute normally played mostly in the top register, Weinstein mostly adheres to his preferred middle and lower registers, and plays his normal golden Powell flute as well as alto and bass flute. And, needless to say, the form is given a strictly jazz treatment. The project was facilitated by the superb arrangements of pianist Aruán Ortiz, without whom, Mark Weinstein acknowledges, this album would never have come about. The basic quartet comprises Weinstein himself, with Ortiz on piano, bassist Yunior Terry, and long-time collaborator Mauricio Herrera on timbales, conga, and guiro. They are supplemented on some tracks by the conga of Yusnier Sánchez Bustamante, and on all tracks by at least part of or a whole string quartet as is usual in charanga. Ortiz proves himself one of the very finest Latin jazz pianist to emerge in a long time. Herrera is also breathtaking, as usual. The rest of the team prove themselves first class. And Weinstein himself is on absolute top form and simply takes one’s breath away – I don’t think I have heard him play better than this. For the material on El Cumbanchero Weinstein and Ortiz found that both shared the same favourites, and they selected six classics and three originals by Ortiz. Doubtless, the title track will be best known to most, having been recorded more than perhaps any other Latin piece. But here it is given an entirely new life that is exciting and utterly delightful. The remainder of the classics encompass some of my own favourites as well, I must confess. The three originals contributed by Ortiz are outstanding and, though taking a mostly squarely Latin jazz approach from the outset (Aruancó and Av. Pintor Tapiro), complement the classics perfectly. Weinstein (and Ortiz) takes a big risk in taking the charanga out of its normal dance context while maintaining (more or less) the original instrumentation. But the risk has paid off, and El Cumbanchero ultimately marks a new milestone in the evolution of the Latin / Afro-Cuban jazz ‘genre’ through taking the traditional charanga form, combined with jazz, squarely into the 21st century. With the collaboration of Aruán Ortiz, Mark Weinstein, more than forty years after his revolutionary Cuban Roots album, continues to be the pioneer of Afro-Cuban jazz. Ortiz’s brilliant string arrangements expand the melodic and harmonic space for Weinstein, which throughout he explores with his customary expertise and consummate artistry, while exploring the rhythmic complexities of every piece to the fullest as well. In the process, Weinstein and Ortiz deliver a series of often fierce improvs that just take the breath away. With El Cumbanchero, Weinstein has created a whole new, lasting legacy for the jazz flute, and once again confirmed himself as one of the great improvisers writ large. He continues to evolve, along with his music and his distinctive flute voice – with particularly imaginative use of the alto and bass – surpassing himself with each new album. Without a doubt, El Cumbanchero is far and away Mark Weinstein’s best album yet. To speak of consistency would be an insult to Weinstein and this brilliant album. Pick any track, and it’s an instant favourite. El Cumbanchero is wholly addictive and hypnotic in its beauty, elegance and charm, never mind its genius. You’ll want to play this album over and over again. Furthermore, to speak of Mark Weinstein’s El Cumbanchero as an absolute must have would be a complete understatement. Fortunately, Jazzhead’s excellent international distribution ensures that it is easily available anywhere. So, what are you waiting for? Get it! Cuba’s musical history is vast and it holds a wide number of styles and approaches, but in many cases, Latin Jazz continues to investigate only a small slice of that musical horizon. In the early days of the style, Latin Jazz was built upon dance traditions, a natural fit which served the development of the style well. 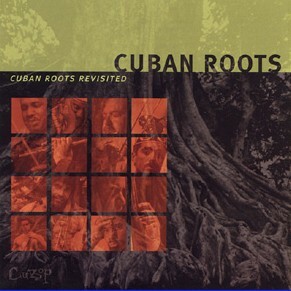 The use of Cuban dance styles didn’t act as a starting point though; it became the path that outlined the careers of most Latin Jazz musicians. The reasoning behind the use of these rhythms is logical – the dance element connects with a wide audience and for many jazz musicians, it delivers a different yet accessible foundation for improvisation. The overlooked creative possibilities in the greater world of Cuban music is staggering though – from Santeria songs to rumba rhythms, there’s many opportunities for improvisation. Some Latin Jazz artists have dug deeper into these waters, but those projects are far too rare – when they arise, they should be cherished. Flautist Mark Weinstein teams with pianist and arranger Aruán Ortiz on one of these projects, El Cumbanchero, a deep exploration of the combination between jazz and charanga music. Weinstein merges the charanga tradition with jazz ideals by performing through classics arranged with a improvisatory edge by Ortiz. A long and winding string melody flies into the rhythm section’s explosive groove on Rafael Hernandez’s “El Cumbanchero,” charging towards the main theme. Weinstein assertively places the well known melody over the thick string texture, pushed into the forefront by an engaging rhythmic accompaniment. The strings frame the flautist’s improvisation with strong and abrupt attacks, while the Weinstein leads the rhythm section through a whirlwind of spontaneous creation. Ortiz introduces a piece of the melody which the string take in several different harmonic directions, until Weinstein enters with the unforgettable melody to Alejandro Gonzales’ “La Mulata Rumbera.” The clever arrangement sends the ensemble through several colorful variations before an energetic montuno from Ortiz sends Weinstein into a solo full of running lines and melodic exploration. A unison band attack opens into a vamp for percussion solo, where an overdubbed Mauricio Herrera trades beautifully syncopated ideas between congas and timbales. The rhythm section rhythm section places rhythm attacks around short string melodies on Enrique Jorrín’s “Doña Olga” before Weinstein moves into the main melody. The ensemble captures the dignified grace of classic danzones with an arrangement that finds the melody traveling between Weinstein, Ortiz, and the string section with a delicate beauty. A montuno from Ortiz introduces the montuno section, where Weinstein skillfully integrates his own voice into the classic Cuban setting. An ascending melody made up of abrupt staccato notes falls into an elegant melody that plays upon the rhythmic character and lush texture of the danzon with sensitive performances from Weinstein and the string section Israel “Cachao” Lopez’s “Armoniosos de Amalia.”. Bassist Yunior Terry sets up the mambo section with a great tumbao that inspires a furious flight of improvised notes from Weinstein. Ortiz follow with an insightful statement that plays heavily upon tipico phrasing that hints at his prodigious jazz vocabulary while staying firmly set in tradition. Weinstein steadily walks between worlds on these tracks, exploring the possibilities of the charanga around the idea of jazz improvisation. Weinstein applies his gorgeous tone to some beautiful Ortiz arrangements that forego the rhythm section in favor of rich string textures. The string ensemble flirts with subtle dissonances as they engage in a tender call and response with Weinstein’s bass flute on Sindo Garay’s “Perla Marina.” The dramatic rhythmic pauses and textural shifts allow for complex intertwining of melodic phrases and subtle harmonic coloring. Weinstein’s bass flute adds a fascinating element to the string sound, allowing for understatement and fine dynamic shading. The deep tone of Terry’s bass underlies an engaging introduction with shades of mystery and light on Cesar Portillo de la Luz’s “Contigo en la Distancia.”. Ortiz’s piano outlines structure behind Weinstein’s interpretation of the melody while the strings add contrary lines and rhythmic motion. There’s a beautiful simplicity to Weinstein’s performance here that is both appropriate and touching, blending perfectly with the intricate string parts. These pieces add a distinctly different element to the album that simultaneously calls upon the classical element inherent in the charanga, emphasizes the string section, and displays Ortiz’s wonderful writing. Ortiz contributes a collection of original compositions to the piece, allowing the group to step outside the tradition slightly, while staying within the theme of the album. A flute melody leads the group through an introduction filled with chromaticism before moving into a more traditional melody on “Danzon de Liz.”. The rhythm section keeps the momentum behind Weinstein’s solo, which travels through a variety of melodic ideas between sparse interjections from the strings. A quick interlude brings the groups to a whisper behind a tasteful solo from Ortiz that gently pushes the limits of the danzon with edgy harmonic twists. A subtly burning rumba blazes behind a flowing melody and a syncopated bass line on “Aruancó,” a piece without strings that leans more on the group’s jazz side. Ortiz utilizes the spacious texture and rhythmic syncopation inherent in the piece to build a wonderful solo dripping with creative tension. Weinstein flies into an enthusiastic solo turn, winding through the colorful support provided Ortiz before moving aside for a ferocious conga solo from Herrera. A beautifully executed exchange between Weinstein and cellist Aristides Rivas brings “Av. Pintor Tapiro” to life against the sensitively supportive backdrop of the rhythm section. Weinstein explores the improvisatory possibilities over a danzon rhythm, and once the jumps into the mambo section, Terry moves into the forefront with a strong melodic bass solo. A return to the melody serves as a transition point into an energetic statement from Ortiz before the group sets up a vamp for a powerful timbale solo from Herrera. These original pieces from Ortiz emphasize the jazz edge of the equation, exposing another set of possibilities when combining jazz with danzon. Weinstein and Ortiz demonstrate the potential behind a blend of charanga music and jazz on El Cumbanchero, showing us the benefits of a deeper improvisatory exploration of Cuban styles. This is not the first time that Weinstein has gone deep into the Cuban music tradition through a jazz perspective; he’s made a career from digging deeper into the world of Cuban music. That experience is readily apparent in his performance, as he plays through melodies and improvisations with comfort and a curious spark. Ortiz shines on multiple levels throughout the recordings, showing his skills both as a performer and an arranger. His string arrangements form the heart and soul of the recording; they brilliantly connect with charanga tradition while consistently delivering uniquely creative spins on the style. His playing is smart and informed, showing a broad understanding of Cuban performance approaches with an unwavering sense of personality. Terry and Herrera supply outstanding support throughout the recording, playing with an assertive feel that never overwhelms the group. The string ensemble plays beautifully, navigating Ortiz’s complex arrangement while keeping a solid groove. Weinstein and Ortiz explore jazz through a facet of Cuban music that deserves more attention on El Cumbanchero and the results are both stunning and inspiring, proving that digging deeper into this rich cultural tradition is a practice that delivers beautiful music. Exploring music with the intellect of an ethnomusicologist, the imagination of an artist, and the technical savvy and musical know-how to combine the two is no easy feat, but Mark Weinstein is more than capable of pulling it off. For the flautist’s latest Latin feast, he turned his attention toward a fusion of jazz and charanga music, a form of Cuban music that features the flute as the lead voice in an ensemble that also contains a string section, percussion, piano and bass, and the results are sophisticated and scintillating. While the album’s nine tracks pay tribute to Cuban and Puerto Rican composers of note and highlight Weinstein’s flute mastery, they also showcase the arranging talents and compositional skills of the leader’s chief collaborator on this project, pianist Aruán Ortiz. Ortiz manages to tackle the traditions of charanga without resorting to cliché and his own compositions add another element to the music. His “Av. Pinto Tapiro” and “Danzón De Liz” are breezy and bright, but “Aruancó” proves to be the standout original. The pianist juxtaposes relentless, clattering hand drums against Weinstein’s flute, and uses his own piano to create hypnotic, cycling chords and some engrossing solo work. Weinstein’s continued willingness to reach beyond the status quo and explore the neglected tributaries of the wider Latin Jazz river marks him as a true giant of this music, and El Cumbanchero is merely the latest document to prove it. Flutist and former trombonist Mark Weinstein’s 1967 game-changer Cuban Roots marked a turning point in Latin jazz in the way it used Cuban folk rhythms. Four-and-a-half decades later, Weinstein sets his sights on 1940s-era Cuban charanga. Here, he sculpts the traditional form to accommodate his own interests and strengths as a player and serious student of Cuban music’s history. Weinstein eschews the wooden, five- or six-holed flute that supports the high-register notes traditionally associated with charanga. Instead, he sticks with his usual assortment of instruments with magical results. Case in point: Weinstein’s extended solo on the title track. Fast and dramatic, the conga number turns on a tension between the breakneck-speed percussion rhythms and the classically minded string section. Weinstein’s post-bop-rooted solo burns away the chasm between the two, deftly balancing the agility of one with the theatricality of the other. The arrangements come courtesy of Aruan Ortiz, who was responsible for the difficult harmonies that make much of this album so compelling. Weinstein and his band also shine within slower tempos, such as on “Dona Olga,” which brims with romantic emotion and a swaying melody. It might seem foolhardy to many to take a chance and make an entire record based on “charanga”; perceived as rather old-fashioned too considering the rising eminence of the goldmine of what is now salsa-a common misnomer for all things Afro-Cuban. But not for flute maestro, Mark Weinstein, who, four years ago in a great leap of faith-literally-made, with Omar Sosa, Tales From The Earth a record that raised the spirit of the Holocaust and indeed the spirit of all who perished in the hatred of racism (Ota, 2009). That was certainly a lot more risqué and unfashionable compared to this record; still, however, the fact is that Weinstein will not shy away from taking a chance on almost anything. Another fact about the flutist-borne out yet again on this record-is that he has the uncanny knack of finding the finest musical associates to collaborate with on projects. A case in point: the monstrously talented Cuban born pianist, Aruán Ortiz, who has not only played magnificently on this record, but who has also contributed the most exquisite and authentic “charanga” arrangements on this album. The album literally explodes from the gates with an up-tempo version of “El Cumbanchero,” not only a title track, but a torch song for an era of music and dance that is all but forgotten about Cuba, a country that is bristles with an almost magical musical heritage. The record also pulsates with the undying heart of a classic “charanga” ensemble. There is the virtuoso artistry of flutist, Weinstein at the helm of affairs; but his art is also elevated by two magnificent string, bass and rhythm sections. The first is one consisting of violinists Francisco Salazar and Everhard Parades, cellist, Brian Sanders and on all but one of this ensemble’s tracks, the conguero, Yusnier Sánchez Bustamante. Not only does this ensemble bristle with energy and kinetics on “El Cumbanchero,” but it also shocks the body into involuntary dancing on “La Mulata Rumbera” and Sindo Garay’s classic “Perla Marina”. The second ensemble comprises violinist Marc Szammer and Elena Rojas Crocker; plus virtuoso cellist Aristides Rivas. This group, together with Weinstein and Ortiz is responsible for the sublime work on the reverential “Doña Olga” as well as “Armoniosos de Amalia,” “Danzón de Liz” and the wistful “Contigo en la Distancia”. The two originals from the pen of Ortiz, “; Aruancó” and the frisky “Av. Pintor Tapiro” are played by just Weinstein, Ortiz and the majestic rhythm section including master percussionist Mauricio Herrera on conga, timbales and guiro and the remarkably melodic bassist, Yunior Terry. Aristides Rivas joins the quartet on Ortiz’s “Av. Pintor Tapiro”. Despite the seemingly traditional setup, Weinstein and Ortiz ring in the changes on almost every chart, breaking free of the formality and rigidity of the programmatic “charanga” charts. The harmonics for the charts flow in new and diaphanous; almost swooning waves of emotion. There is an almost visual element to the flexibility of the bodies of the dancers were these to be present during the recording. As it is the couples pirouetting sensuously in figures of eight are almost conjured up on this record of beauty and utter memorability. But although this aspect of artistry is nothing new for both Mark Weinstein and Aruán Ortiz, it must nevertheless be praised for its splendor.